Tonight I have been sorting through my stash of photos from Italy, when I came across a folder I had completely forgotten about. I mean, I can still vividly recall the event where I took them. 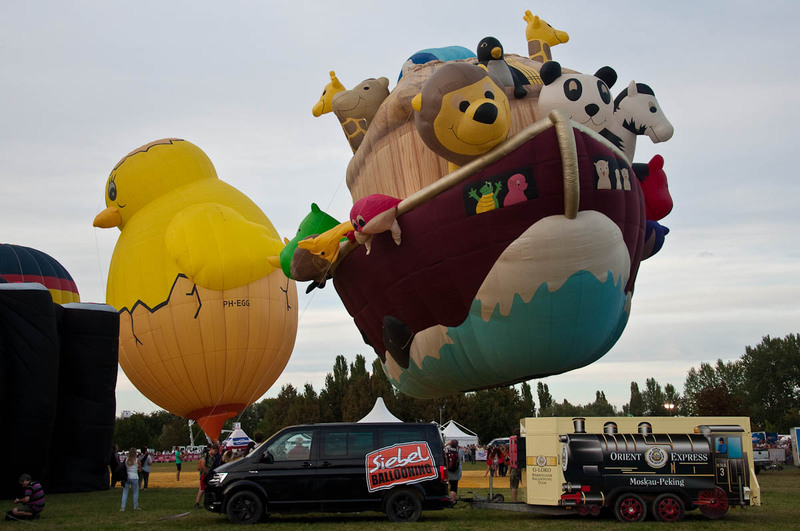 After all, the Ferrara Balloons Festival is a really outstanding hot-air ballooning display with some of the wackiest and most original balloons you can imagine. 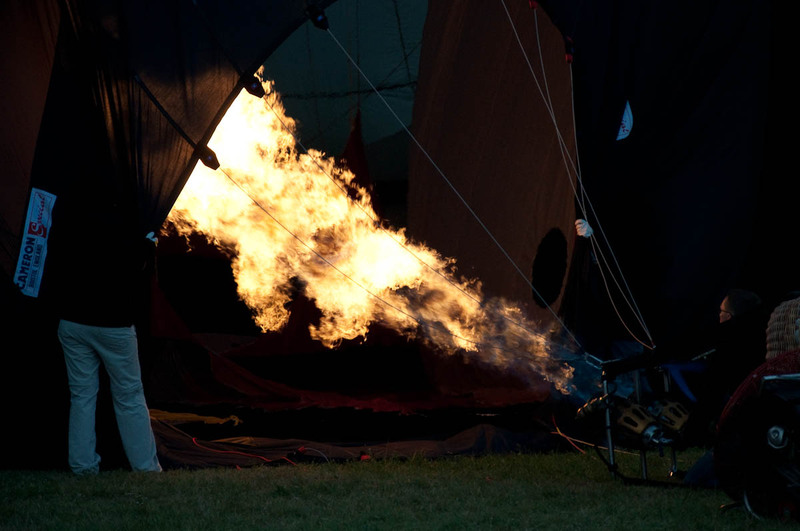 But, the fact that I had taken these photos showing some of the highlights of the festival’s last year’s edition somehow had escaped my mind. I had never posted these photos on my blog and it is quite lucky that I found them tonight, as the new edition of the festival starts indeed tomorrow – 8th September 2017. It then goes on for nine days until the 17th. 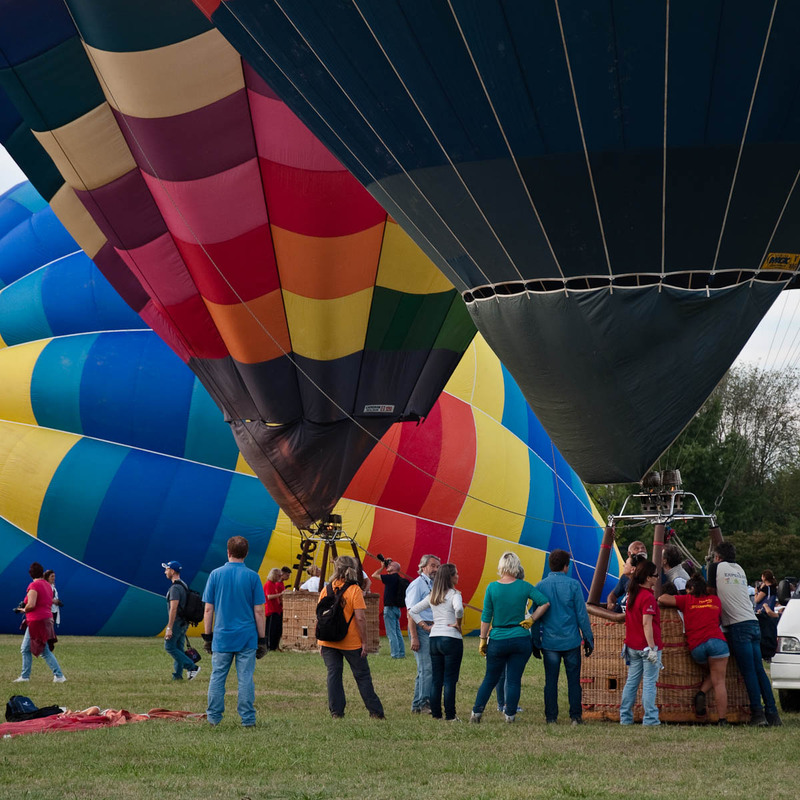 So, if you like what you see here and you are looking for fun and unusual events close to Vicenza, head over there this weekend or all of the next week. 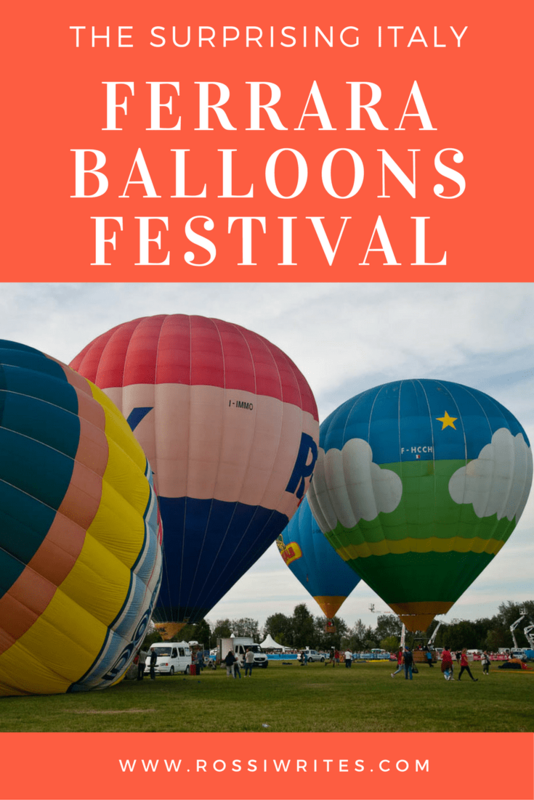 After all, Ferrara is only about an hour away from here and, even without this festival, it is a great place to see. 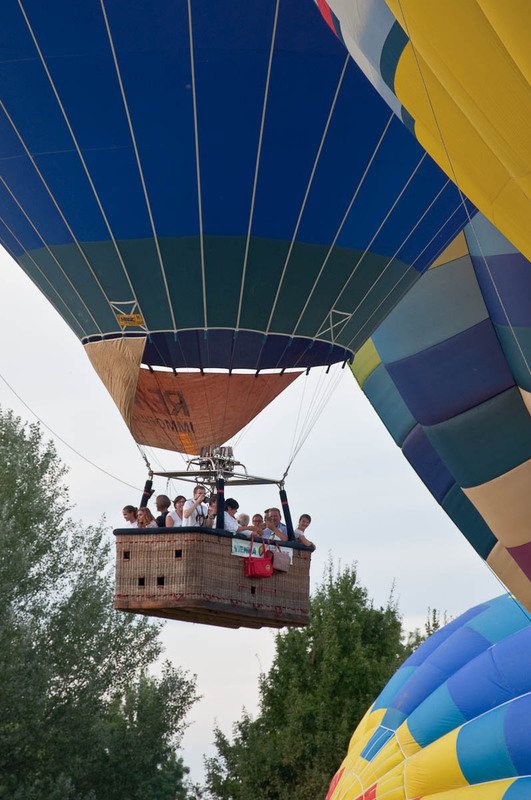 In any case, Ferrara Balloons Festival happens to be Italy’s most important hot-air ballooning event and one of the largest such festivals in Europe. We went to see it in September 2016 not knowing really what to expect. As it turned out, it was great! Imagine a large green park with a pond just outside of Ferrara’s historical defensive wall. 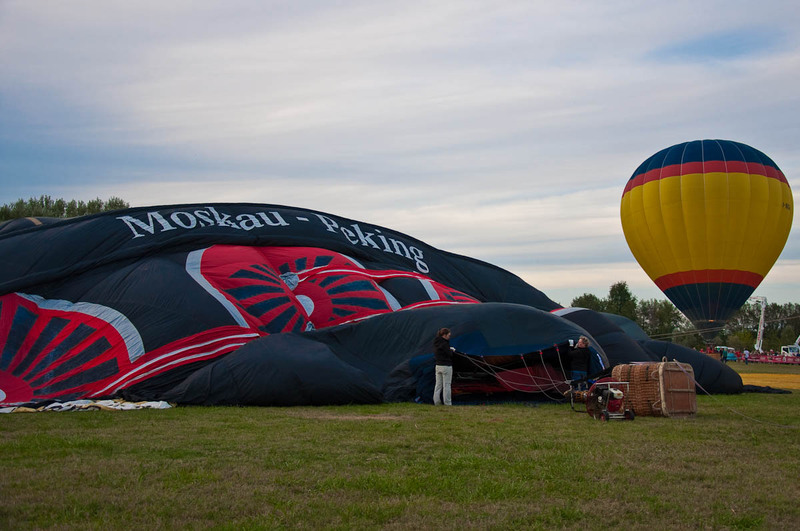 Then, imagine a huge green field lined up with all sorts of pop-up eateries and numerous attractions and stalls. A whole corner of the place is set aside for local reenactment groups who have set up a medieval playground and all sorts of old arts and crafts stalls. Another corner is taken over by a group of bouncy castles, so kids are having whales of fun. Hundreds and thousands of people are milling around taking it all in. 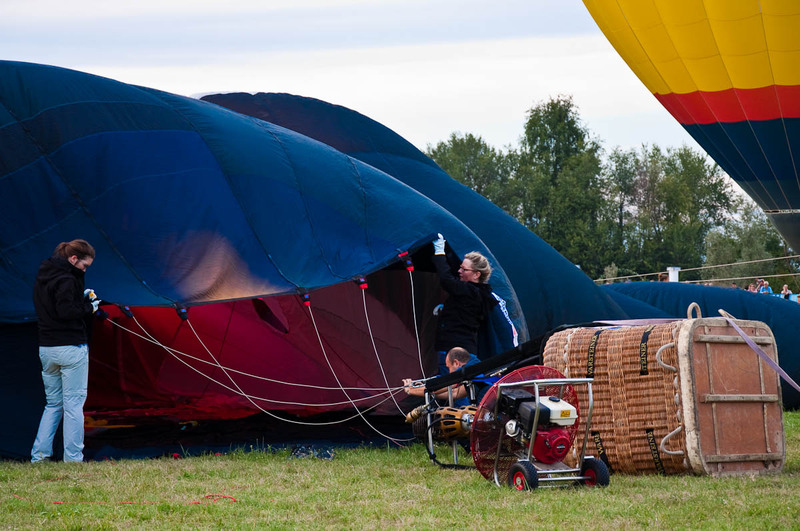 Now, the most important bit is that in the centre of this large field, there are dozens of hot-air balloons. 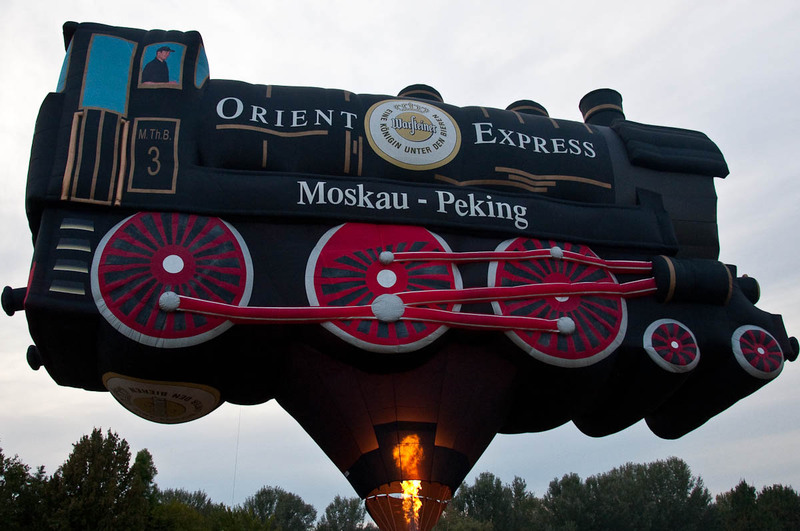 There was a chicken balloon, a fox balloon, a Marge Simpson balloon and even a Noah’s Ark balloon and an Orient-Express balloon. 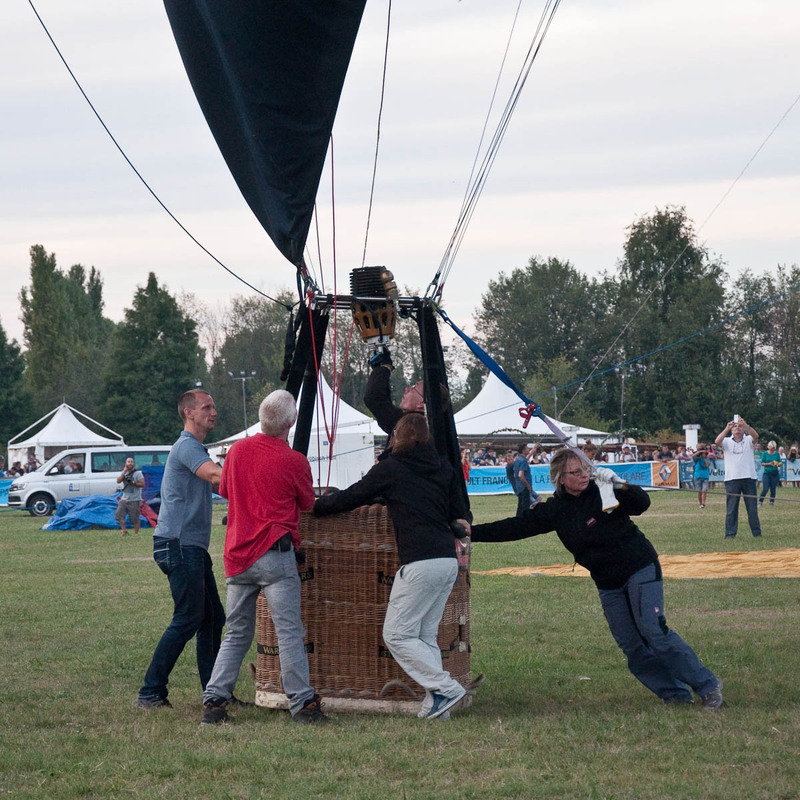 It was quite magical watching the teams get their balloons ready for the flight. First, they will take them out of their custom-made trailers. 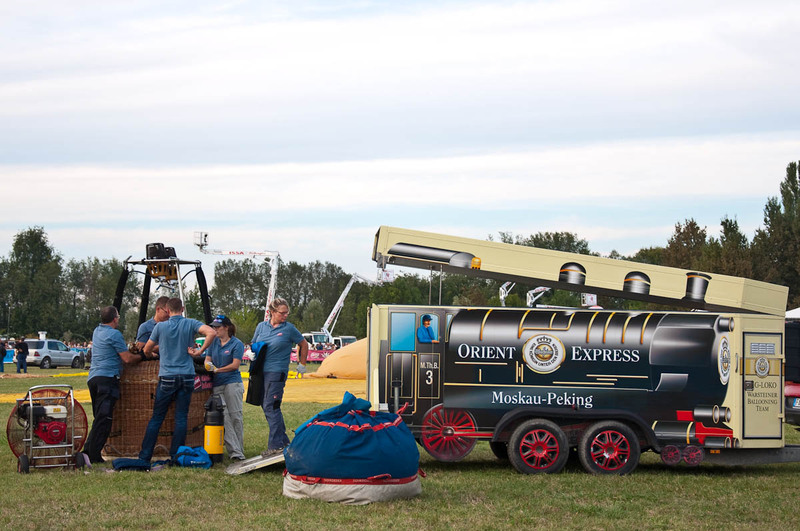 Spotted the Orient-Express balloon trailer here below?! This is what I call travelling in style. 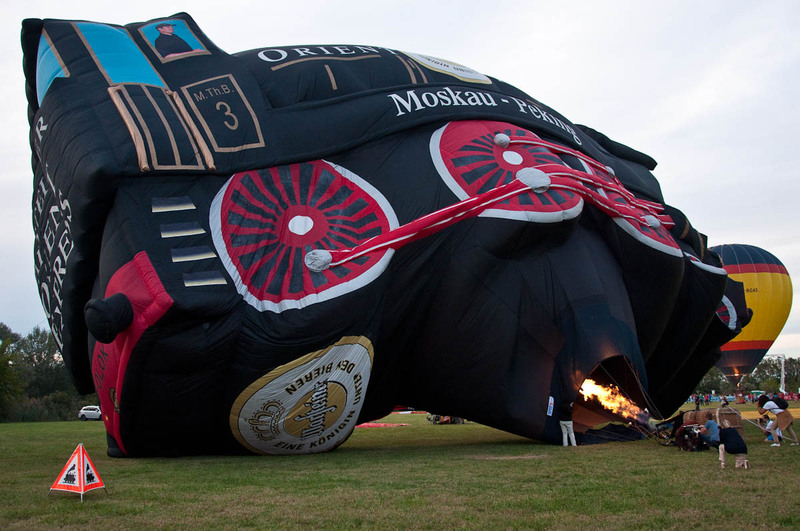 Then the heavy balloons would get unfolded on the grass, fired up and allowed to get filled with hot air, which would slowly start to shape them up. The huge mass would then slowly begin to hover above the ground, taking a more pronounced and defined shape with every fiery breath. 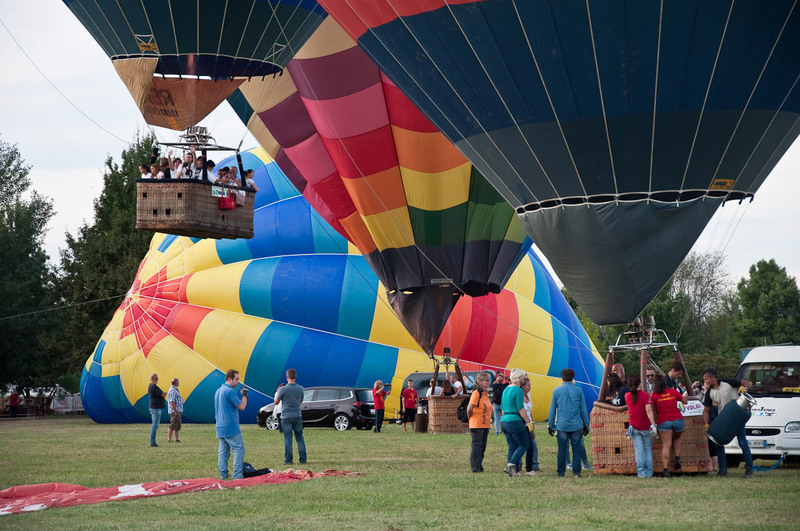 Finally, people would climb in the baskets and the balloons would hang up mid-air, supported to the face of the Earth with the help of some thick ropes. 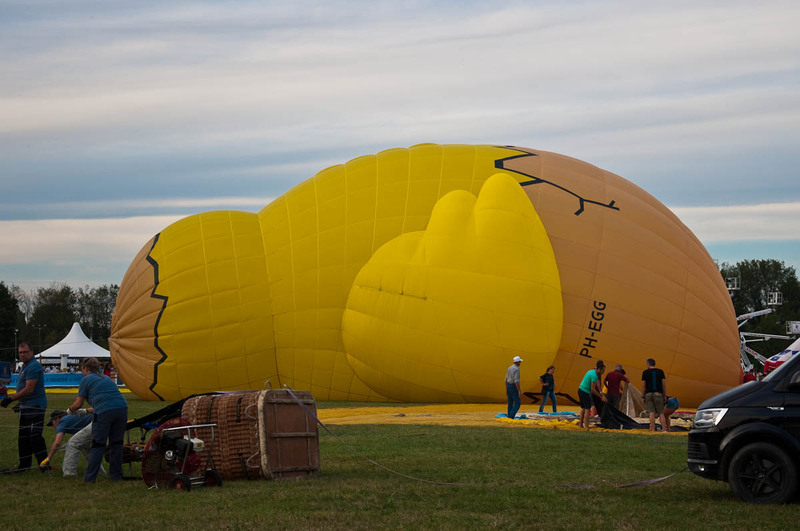 Once released, they would fly up in the sky and the crowd below would cheer them up. Hopefully, we will be able to make it to Ferrara again this year to re-live it all. The 2017 edition of the festival will be held from the 8th to the 17th September in the Bassani Urban Park. 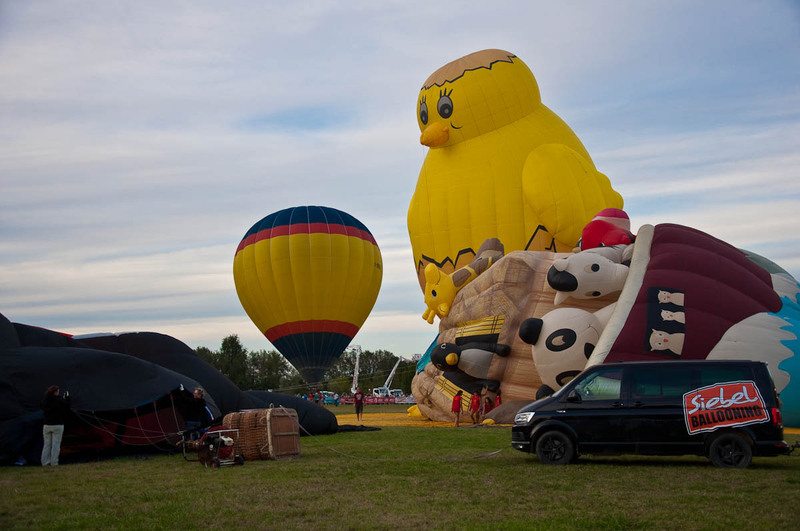 This year they have planned 3000 flights and 30 teams from Italy and abroad flying, among others, such novelty balloons as Woody the Woodpecker. The festival has been given the designation of ‘Italian Heritage’. 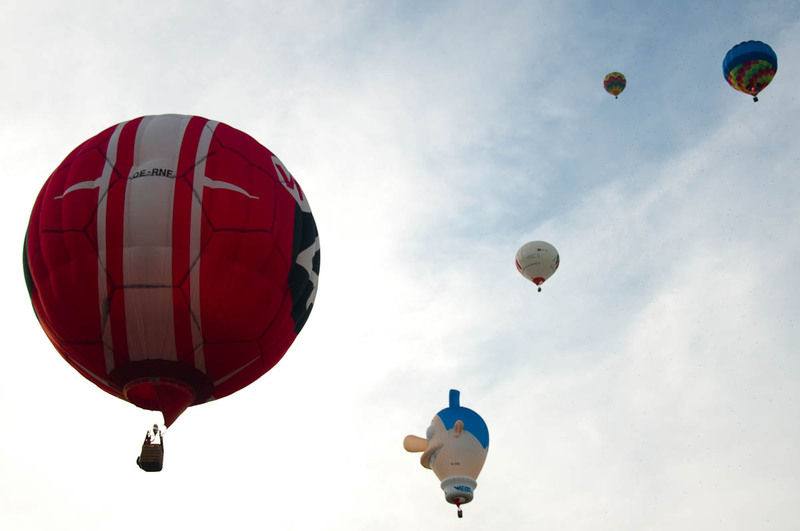 Have you been to the Ferrara Balloons Festival or any other hot-air ballooning event before? 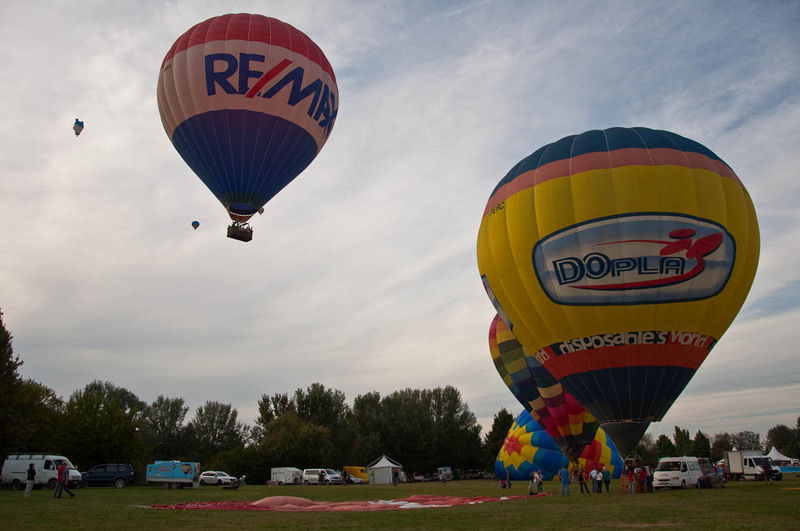 Did you fetch a ride in one of the balloons? How was it? Let me know.